When you're young, eight months away from your dad can seem like an eternity. That seemed to be the case for a little girl in Colorado. 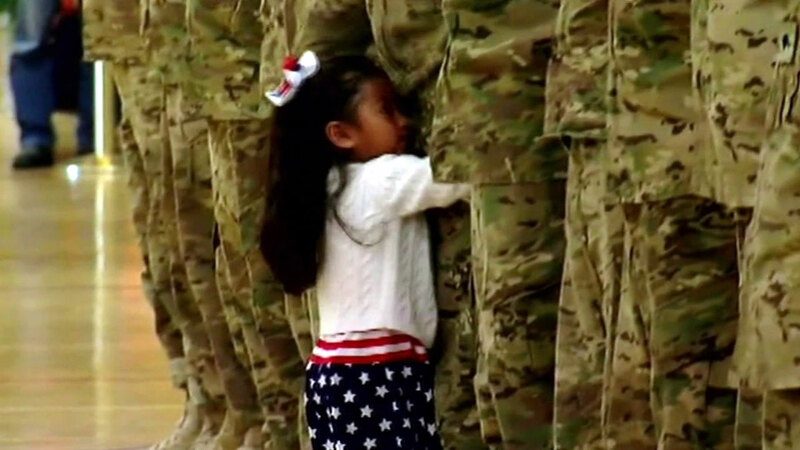 Cara Oglesby ran to give her dad who is a soldier in the U.S. Army a big hug because she couldn't wait until after the homecoming ceremony to greet him. "I was trying to decide whether or not it was good practice to you break formation, but I didn't have the heart in me to not give my little baby a hug," Lt. Daniel Oglesby said. Oglesby said he knew it was over as soon as Cara made eye contact with him in the crowd. Looking to brighten your day with more good news? Click here for more heartwarming stories like this one.